There is currently a high demand for quality nannies and babysitters in San Bernardino. If you are a babysitter or would like to be a babysitter in San Bernardino, California CA then register for free at NannyAvailable.com today to view the thousands of babysitter job postings at our site. 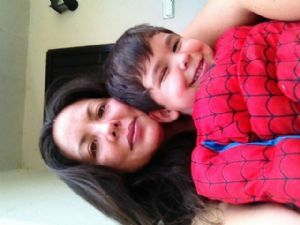 If you are a nanny and would like either a part time, full time live in or live out nanny position in San Bernardino then you too should register for free at NannyAvailable.com to see all the thousands of available nanny jobs in San Bernardino. Registration not only allows you to contact any of the employers directly but also enables you to create your own profile that employers will view and be contact you- double the chance of finding the right nanny job in San Bernardino! Registration only takes a matter of minutes so don�t waste any more time and begin your search for the right nanny or babysitter job in San Bernardino today with NannyAvailable.com. Posted September 11 by Ameshia C.
Posted July 11 by Lissa W.